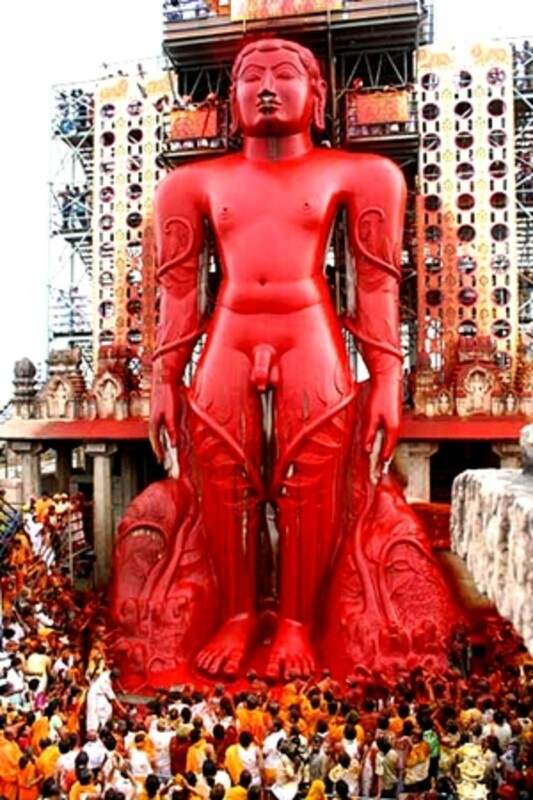 There is a unique statue of Gomateshwar, also known as Bahubali (Armstrong), in southern state of Karnataka in India. The uniqueness of this statue is that this is the world's highest monolithic statue without external support. 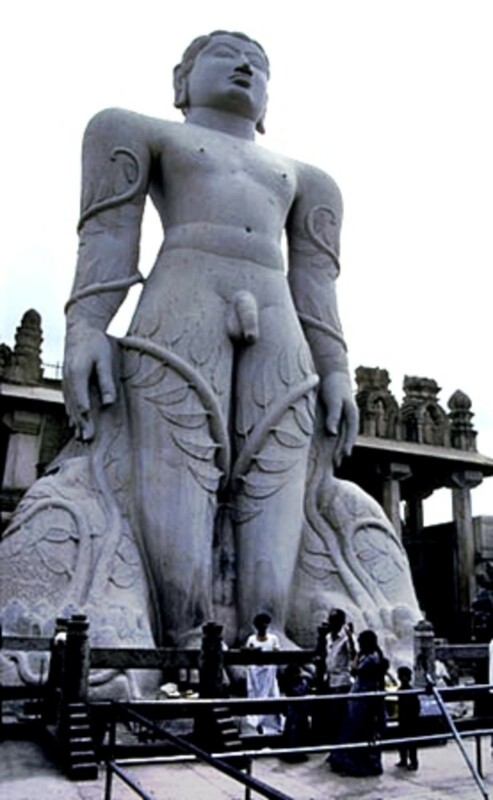 The statue is 17.6 Meters (58.8 feet) high, situated on a hill called Indragiri (also known as Vindhyagiri) at Shravanabelagola town. This statue is historical one, carved in a single granite stone in 983 C.E. The statue is in standing pose, naked, attractive and very proportional. 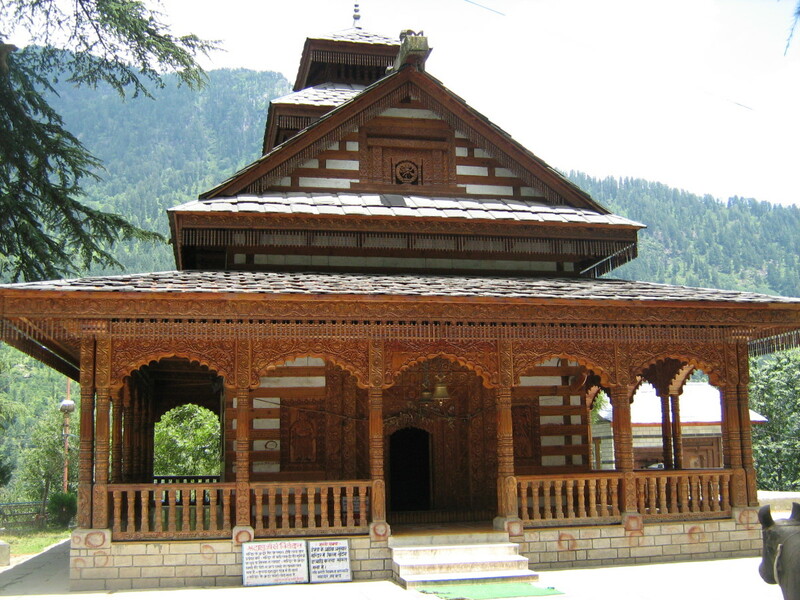 It was carved by Chaavundaraay, a General of king Marsinha of Gang dynasty. 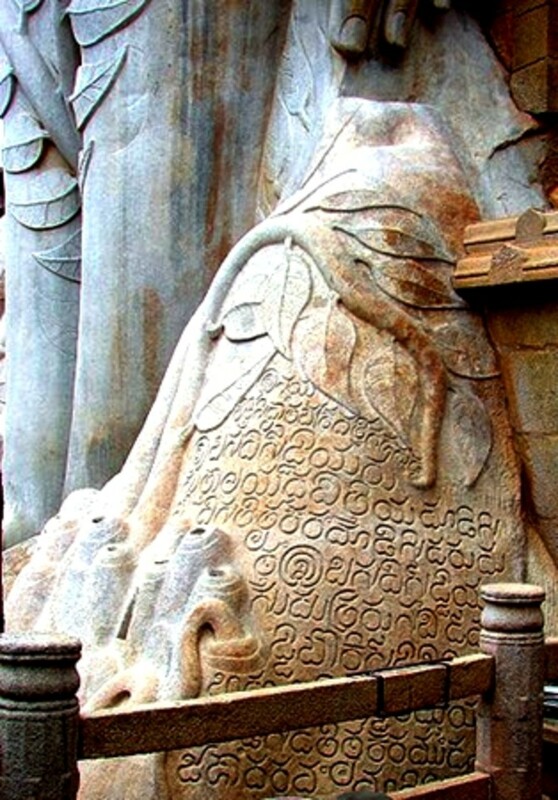 Shravanabelagola is a pilgrimage center for Jains, the followers of Jainism from ancient time. This is the place where Chandragupt Maurya, the first emperor of Mauryan dynasty spent his last days as a Jain ascetic. His Guru Acharya Bhadrabahu also spent his last days here. This statue has historical importance. Important for historians, archaeologists as well as for linguists. The statue is evidence of spread of Jainism in south India, and the royal patronage to it. For archeologists, the statue is important because it is the greatest presentation of Indian sculpture. For linguists also, the statue is important, as inscriptions in three different languages are written on the base stone near the feet of the statue. The three languages are Tamil, Kannada and Marathi. The Marathi inscription is the oldest inscription in this language. all the three inscriptions are important for knowing the history and evolution of related languages. The statue is very important for Jains. Because of this statue, this ancient place got more importance as Jains and others from all over India got attracted to this place. In recent few decades, the statue has become an attraction for worldwide tourists, especially from Europe and America. 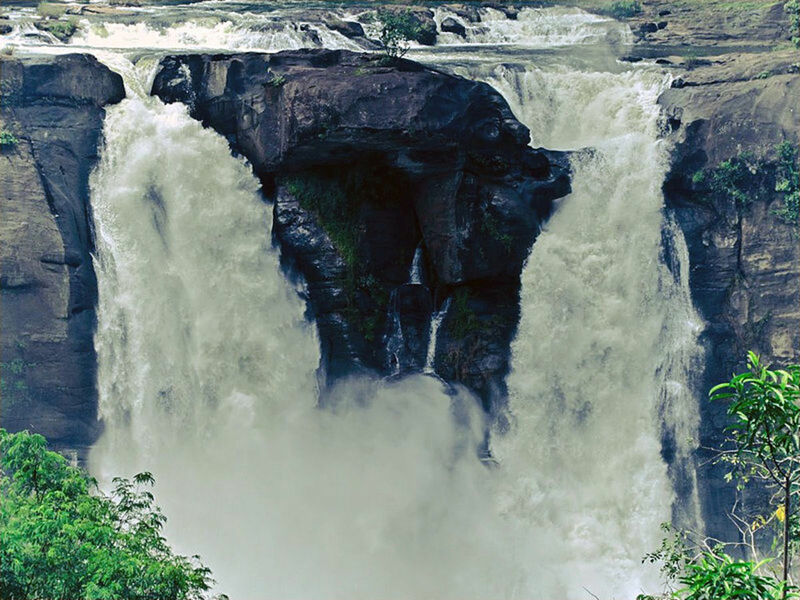 Every year, hundreds of thousands of people come here to see the wonder. Every 12th year, there is a big ceremony called Mahamastakabhishek. In that year, about 2 millions of people visit this place. Recently heard news that there has been quarrying activity near Bahubali statue, how to stop it and how to preserve for future generation. Has it got UNESCO tag? Thanks Ankush for reading the Hub. Thank you for reading and commenting on the Hub. fine! and well presented.thanks for sharing!